We remain in business to the present day. 0161 834 7783 Specialising in US issue 7" vinyl 45s. 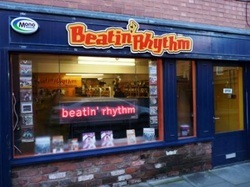 Mainly Northern Soul & 60s, 70s rock & pop.